Bass, 65, severed served as the former Speaker of the California House and was the first-ever African-American woman ever to hold that position. But there is one huge difference: The CBC will have what was referred to at the ceremonial swearing in as “the big five.” They are the five Chairmen and Chairwomen who will serve over what many CBC members hope are Trump’s last two years in office. They are Reps. Maxine Waters (D-Calif.), Elijah Cummings (D-Md. 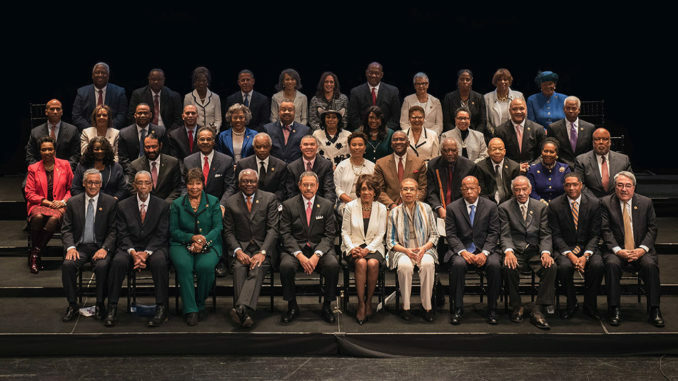 ), Bobby Scott (D-Va.), Eddie Bernice Johnson (D-Texas) and Bennie Thompson (D-Miss. ).